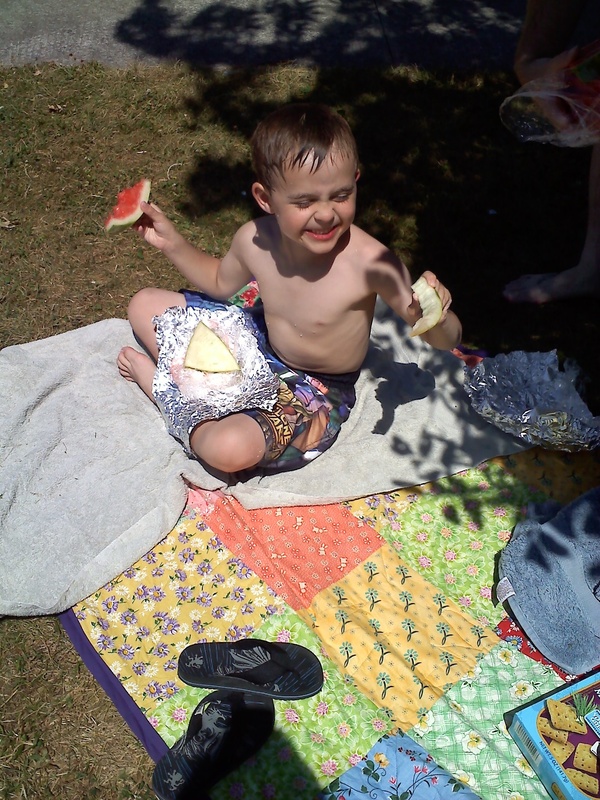 The Summertime Picnic Quilt in action at the pool. Some weeks just work well when it comes to dinner. I’d love to say that every week I make an awesome meal plan on Sunday for the week ahead but that rarely happens. I wish it could happen, but Chris and I often just bat around different ideas and sometimes, on crazy days, it comes down to take out food. I wish it wasn’t like that, but that’s how it goes sometimes. However we’ve been putting together some pretty tasty stuff this week. 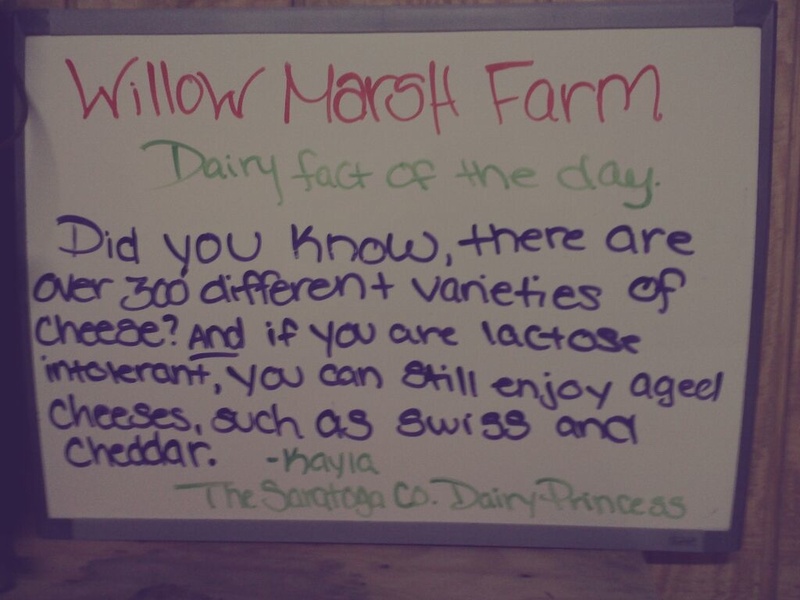 Dairy facts sign at Willow Marsh. How cute is it that we have a dairy princess? I got lots of eggs at Willow Marsh the other day so I came right home and made dough for challah bread. I also made 22 whole wheat hamburger buns. Go big or go home, right? Actually I just prefer to make large batches of things when I can to alleviate excess kitchen time in the future. My sweet southern belle....what a ham! Chris is now working the mid shift for this next week so while he was switching his body clock over he made bacon jam (that’ll have a post of its own!) and tomato basil chicken sausage (with tomatoes and basil from the garden). He made the sausage into patties that we had tonight on my buns with homemade slaw. I think we are going to turn the rest of it into meatballs to have with pasta. Chris also ground up pork last night which we cooked up with garlic, onion, and jalepenos after dinner tonight. I put it into a crock pot with crushed tomatoes, chopped green peppers, and black beans. Tomorrow morning Jack and I are going to make tortillas and let the chili cook all day. I’m not really sure what the weekend will bring but it certainly has been nice having all this delicious food this week! This entry was posted in cooking, food, meat, seasonal recipes on July 28, 2011 by Erika T.. Recently I made some beer mustard. I had to halve the batch because I didn’t have enough mustard seeds. I had 2 of those small containers that they sell at the grocery store and it barely measured a 1/2 cup. I still had to put the same amount of effort into making the mustard but I didn’t get nearly enough, and it was a bummer. Today I went and got bulk mustard seeds. I filled a sandwich bag 2/3 of the way full and only had to pay two bucks and change. Plus they were organic. Each tiny container at the store cost over two dollars. So now I just need to narrow down my options for which mustards I want to make next. Friendly reminder….buy bulk whenever you can. Overpaying for a silly container just isn’t worth it. The worst part is I already knew this, but was just being lazy and picked up the seeds on my weekly trip to the store. It’s always good to get a kick in the pants every so often. 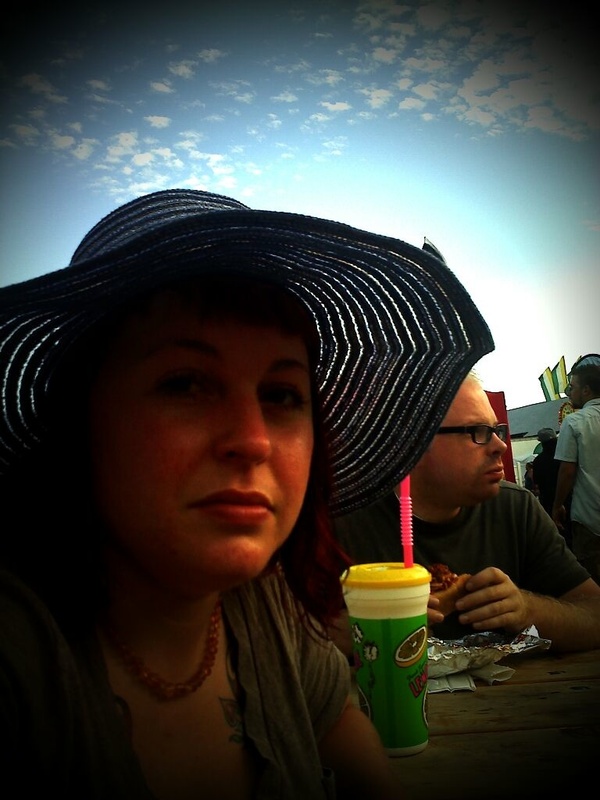 This entry was posted in cooking, food on July 27, 2011 by Erika T.. Recently I’ve been mulling something over. I am incredibly lucky to have this amazing network of women in my life who love to cook, bake, and preserve and who are great at it. I have a local community of talented and passionate farmers who provide me with things that people pay twice as much for at Whole Foods. Plus I get the benefit of their friendship and even their knowledge for when we get the chance to have a farm of our own. I have a great local library packed with books on beekeeping and cheese making. There are NOFA conferences and food swaps and classes. Not to mention almost anything I could imagine to want to learn is just a Google search away. But what eats at me, when I’m at a super fun cheese making party stirring a pot of curds, or trying to figure out how to make hamburger buns, is that my great grandmother would laugh at me if she were still alive. She used to wake up each morning bright and early to bake bread fresh for the day. Every Christmas she’d knit slippers for my brother and I. She taught my mom a lot about cooking and baking, and my mom still makes her lemon meringue pie that’s so good it’ll make you want to cry. When I talk to my grandpa, who used to have a farm of his own, about the raw milk we get he says, “Oh that stuff your mom buys at the store just tastes like water, it’s awful.” His son (my stepdad) used to have to milk all their cows before school, even with 5 feet of snow on the ground. 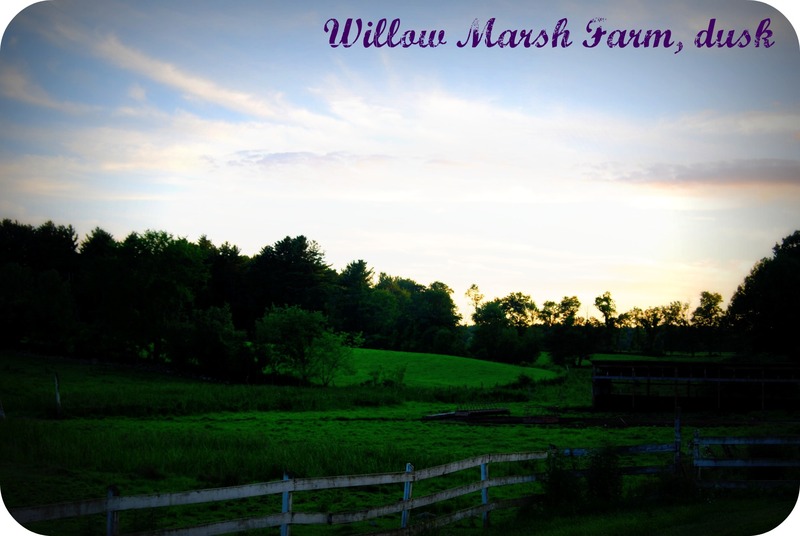 Don’t get me wrong, I love that people are learning about raw milk, organic gardening, canning and everything else. I think it’s fantastic. But I’m taken aback when I hear stories like Chris’ coworker asking him if you have to do something special to an egg before you can crack it and eat it. He honestly had no idea you could use it right from the chicken. Or the patrons at the market who seriously don’t understand why we don’t carry items like lemons or avocados. I’m honestly just baffled when it happens, and sadly it happens more than you’d expect. If we can lose all of this basic knowledge in 3 or 4 generations I sure hope it doesn’t take longer than that for us to get it back. There’s just too much riding on it. 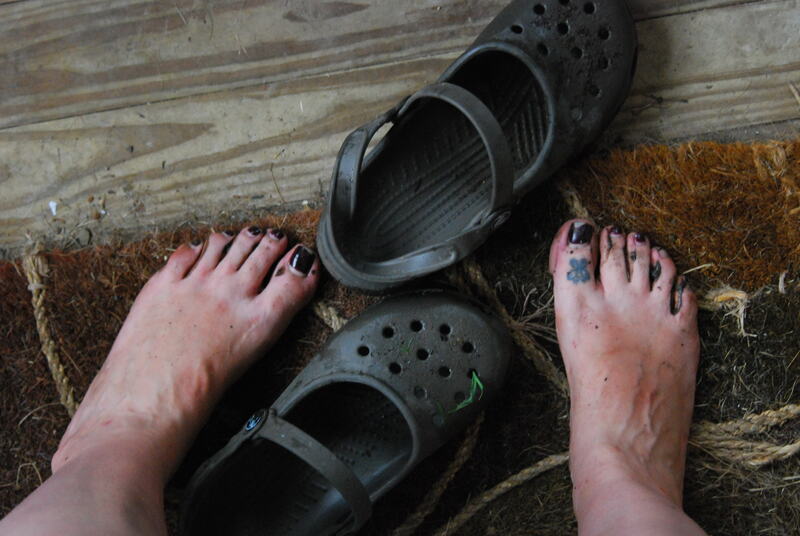 This entry was posted in canning, cooking, diy, farming, food, food politics, food preservation, gardening, homestead on July 26, 2011 by Erika T.. 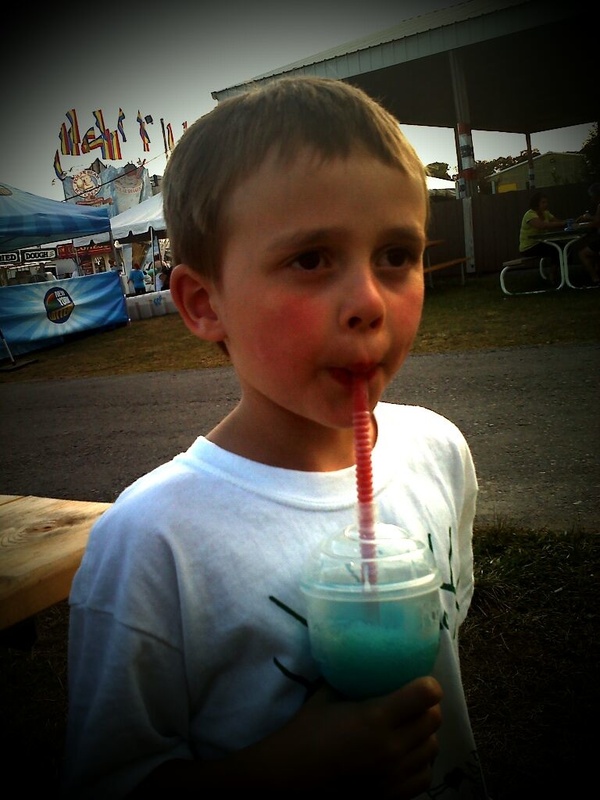 I love the fair. Yep, love it. The horrible, unhealthy food, the crazy people, the exhibits…all of it. That’s why I tend to go 3 times each year. To the right on the table behind him is his collection. This year since Jack has been in 4H we got to get in for free. 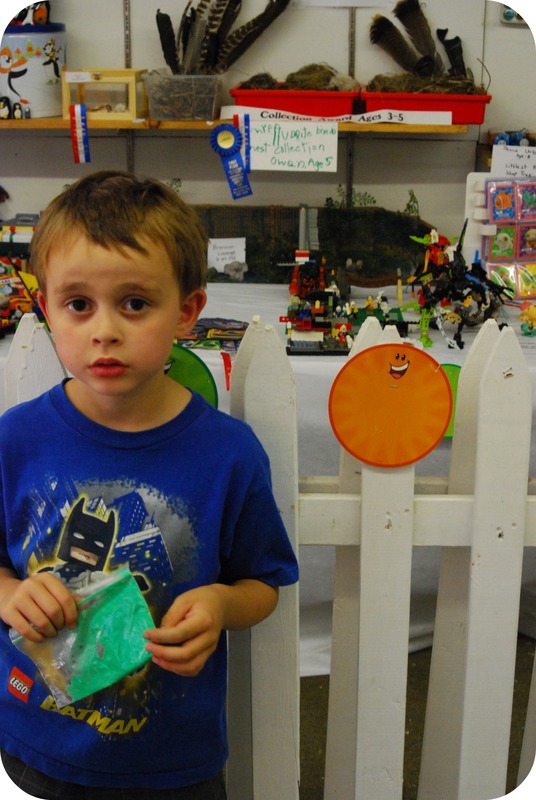 It was exciting to see all of his 4H projects on display but even better was seeing that he won a 3rd place ribbon for his Lego/Bionicle collection. It took a lot of explaining for him to realize that 3rd place means something good and does not, in fact, mean yours was the worst display. Ugh, kids. 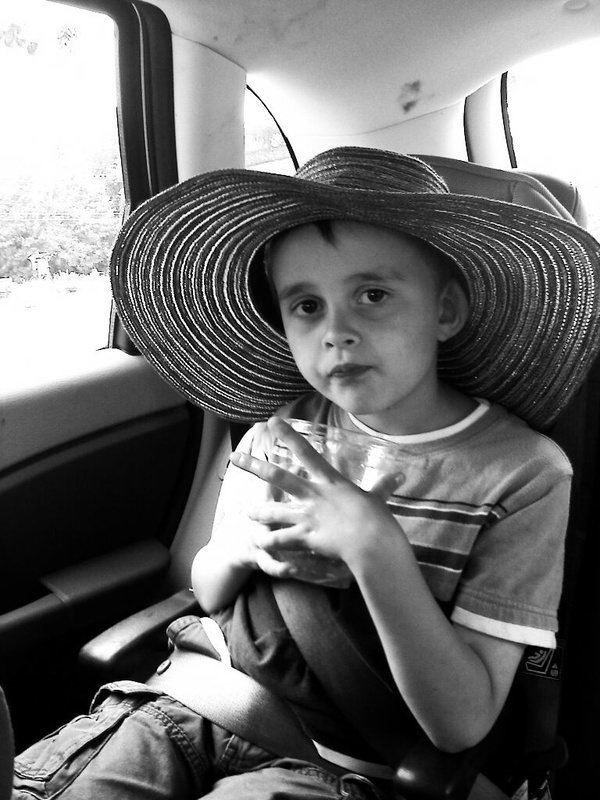 Each time we went back he wanted to go see his collection again and again, and I didn’t mind at all. I was very proud of him because he works very hard on his Lego projects and really loves building with them. That's how a cowgirl ropes a calf. Incredible. 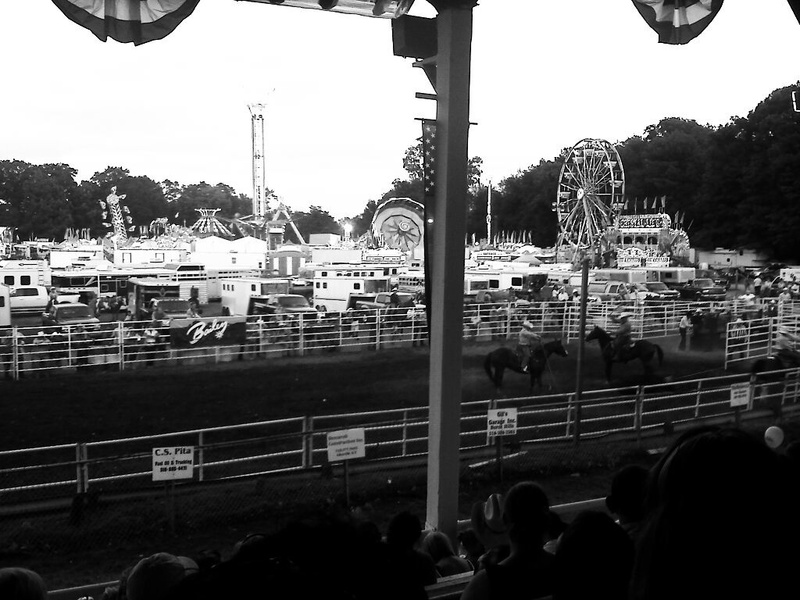 We also saw the rodeo, which is something else I love. I believe I may have been 4 or 5 when I went to the rodeo for the first time. We used to go a lot when we lived in New Mexico. 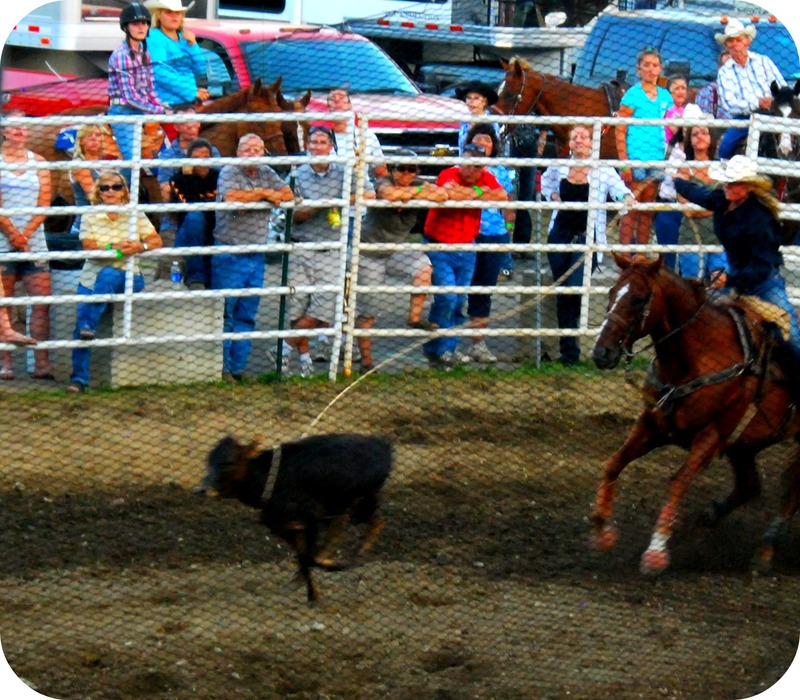 I used to get scared that the calves were getting hurt during calf roping. 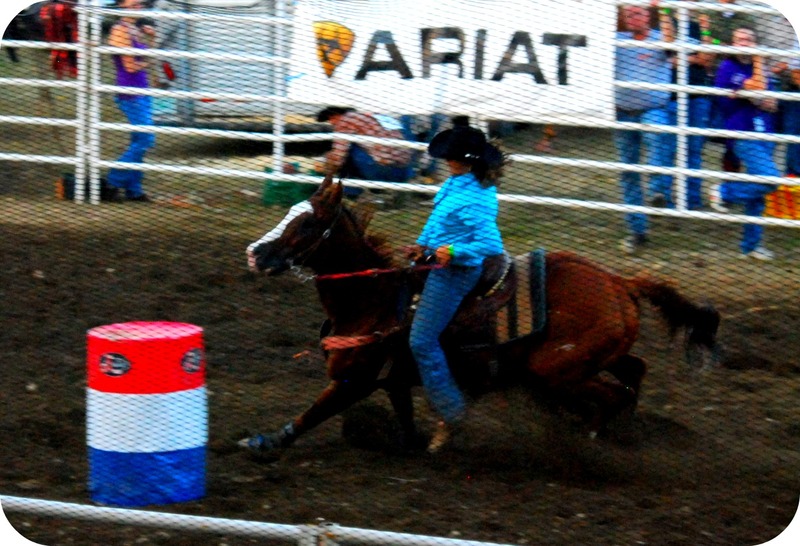 I always loved the barrel racing. I still do, it’s my favorite. Coming up to barrel #3. Rounding barrel #3. Look how far they are leaning to that one side! Her foot almost touches the ground. 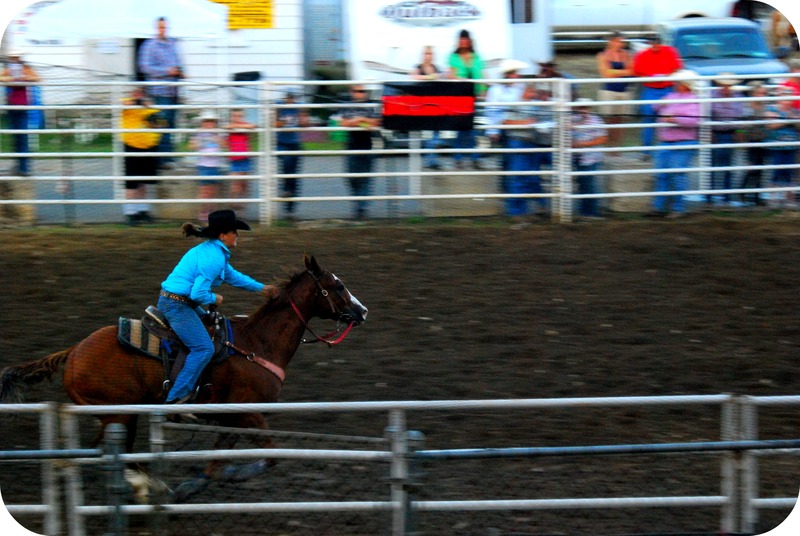 If you’ve never been to a rodeo (for shame!) I shall explain. The coolest women ever ride their horses into the arena as fast as they possibly can. 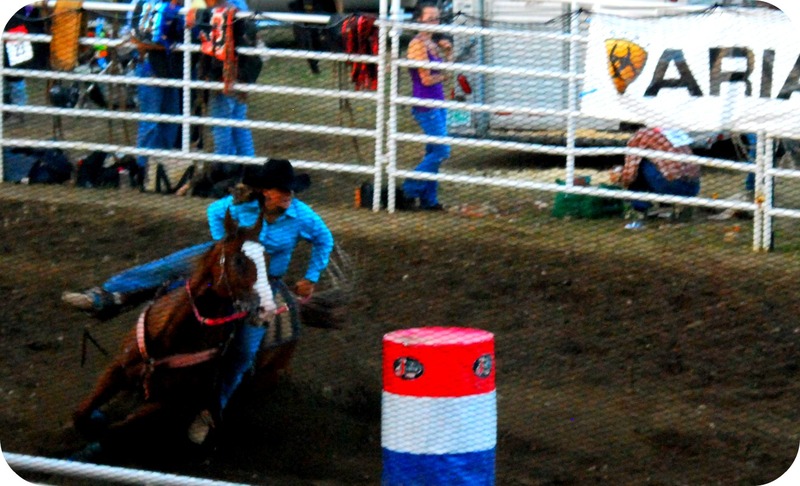 They try to get their horse around 3 different barrels as fast as they can. If they knock a barrel down, 5 seconds gets added to their time. Once they round the final barrel they race back out of the arena while everyone cheers. We got to see adorable animals and quilts that are so glorious it makes you feel like yours are just a notch above dishrags. 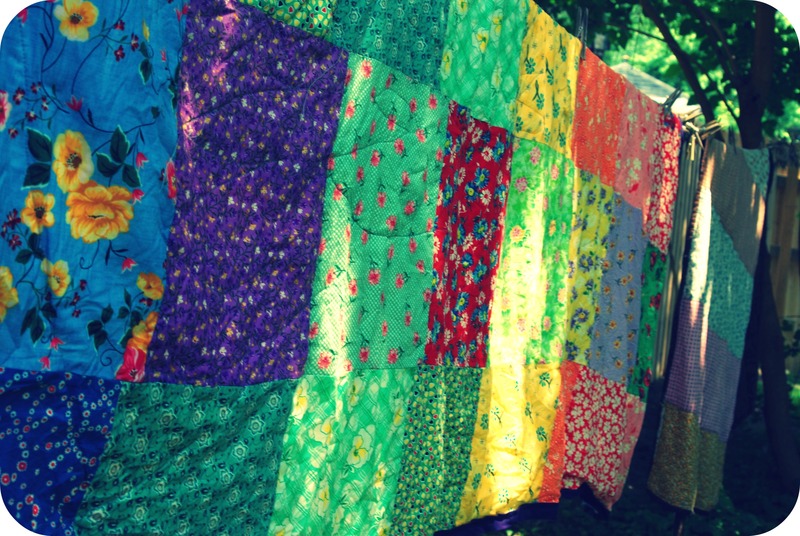 Seriously, these quilts were stellar. If I can ever make a quilt half as good, it will be a miracle. Now I have to wait a year until it comes back. That’s fine because I need to plan all the various things I’m going to enter. So far I’m thinking a baked good, a preserve, something sewn/knitted/crocheted, and a photo or two. I’ll be dreaming of those blue ribbons for the next year. This entry was posted in creative projects, diy, kids on July 25, 2011 by Erika T..
You can see my first quilt hanging on the line in the back as well. 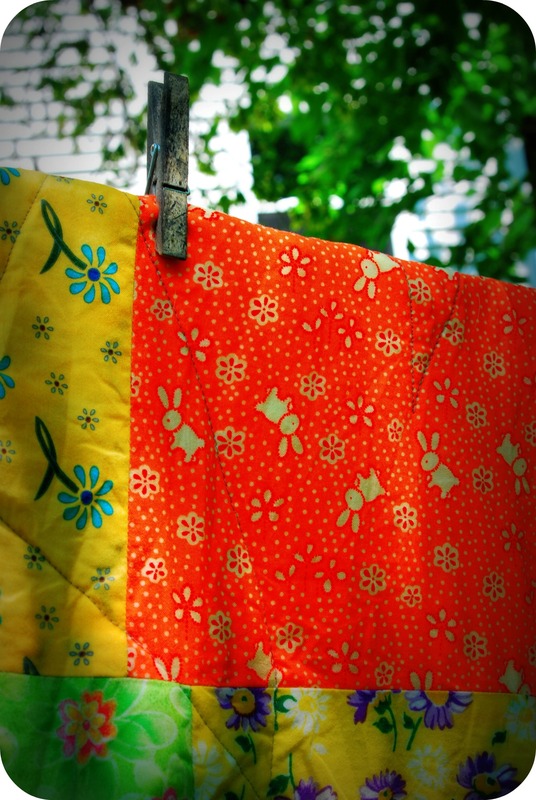 Yesterday I washed my quilts and threw them on the line outside. I figured it would be a good time to get out the camera and finally snap some photos and tell you a bit about it. I made it from 2 packs of fat quarters that I bought from a local store specializing in antiques, crafts, and other cool vintage goods. The owner always cuts her own bundles of fat quarters and usually has great patterns. They are my own hidden treasure. 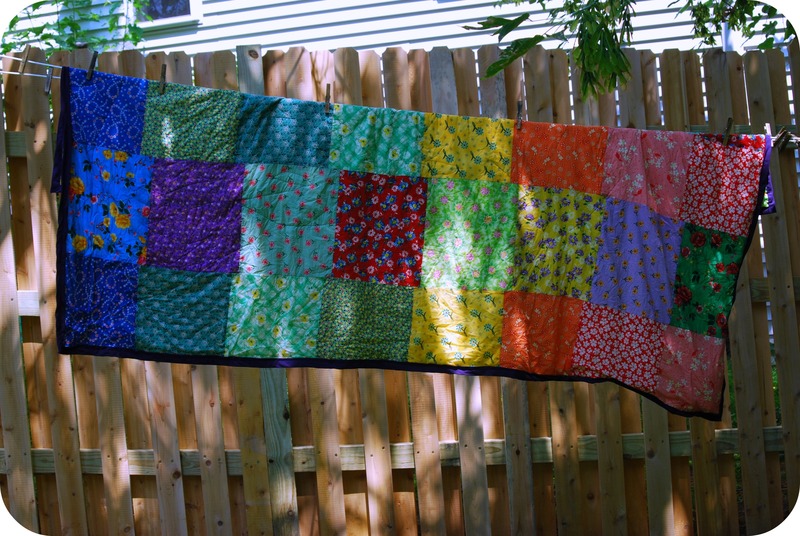 I actually used them for the first quilt I ever made. I first pulled out each fat quarter and ironed it. Boring and tedious, but I was determined to take more time with this one to make it good, and not rushed and sloppy. Then I made sure the edges were even and I cut them into uniform blocks. Each bundle of fat quarters had slightly different measurements, so the blocks ended up being two separate sizes. I took all the ones of one size and pinned them together in several strips. Then I did the same with the others. I took those long strips and pinned them to each other. Look at the new fence back there! With all of this pinning I realized that if I pinned all the strips side-by-side I wouldn’t have a picnic quilt…I’d have a queen size duvet! So, instead of making an extra trip to get fabric for the back, I made it reversible. I used some batting made from organic, unbleached cotton and used doubled folded bias tape that is made for quilt binding. Why I never noticed this at the fabric store sooner is beyond me. It saved me so much time not having to make my own trim. I really wanted to rent an hour on the long arm quilter at Almost One of a Kind to finish, but I wasn’t able to. Instead I just did some crazy top stitching on my own machine. It’s not going to win any awards, but it’s functional and will hold the whole thing together well for a long time. The weather has been a bit odd this summer so we haven’t had a chance to use it quite yet, but hopefully soon. At any rate, the bright colors will certainly put a smile on my face when I’m snuggled under the quilt on those bleak winter afternoons. This entry was posted in crafts, creative projects, quilting, sewing on July 22, 2011 by Erika T..
A goodbye and a thank you. That might just be my most favorite quote of all time. I think it sums up the end of this first DIY Summer Camp perfectly. Jason leaves bright and early tomorrow (Thursday). Somehow 7 weeks went by faster than I could ever imagine. A fence was built, beers were had, stuff got made. It was amazing and unforgettable. It’s sad that it’s over. I don’t know much else to say exactly. We each have our separate lives to get back to…but it’s still sad. Jason didn’t just come to hang out, he came to work and learn. He got to work with us and the Kilpatricks. He got to be part of our world for a brief moment, and I hope he enjoyed it as much as we did. I hope he can show his crazy college friends how easy it is to make bread, or how fun it is to roast a pig. That it is totally possible to build your own fence, and can jam. 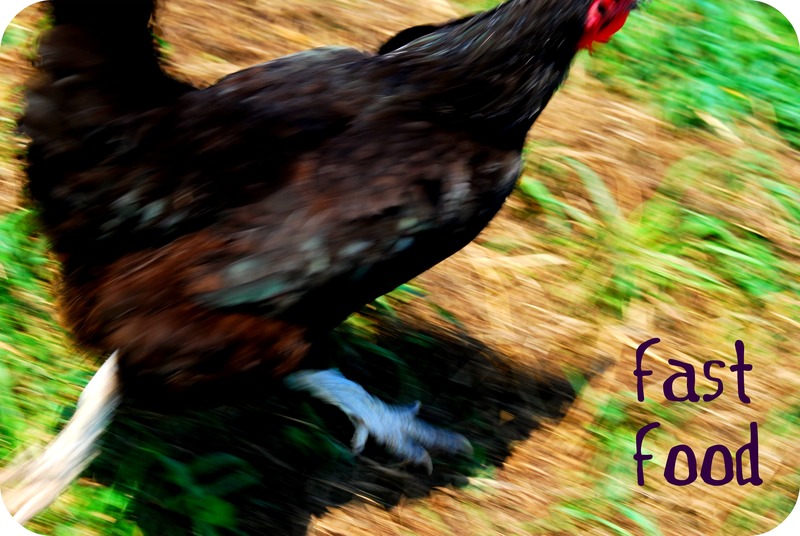 And how important it is to support local, sustainable agriculture. Most of the time I feel like these things are the only hope for this ridiculous world. I wish we could’ve done more, but we did a lot. I’m thankful for all of his hard work and willingness to learn. …and keep in touch. Thanks. This entry was posted in Uncategorized on July 21, 2011 by Erika T.. This long weekend (Chris had 4 days off) was an ongoing mix of work, cooking, and eating with friends. I feel pretty good about all of that. The fence is almost done. Tomorrow looks like the day. It’s really incredible. I’m going to check out a yard sale Sunday for some patio furniture. I have zero clue how I’d actually get it home though. I feel like I want to sit out there with cocktails to celebrate. 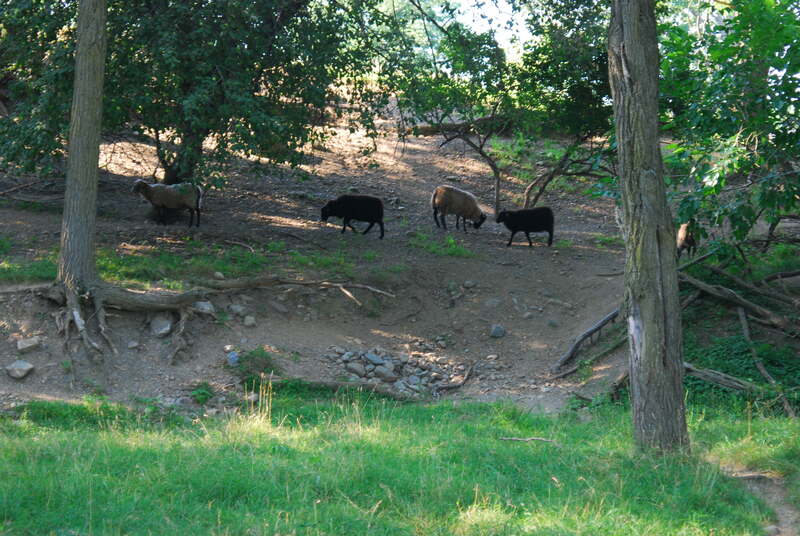 We got to visit some friends this weekend and they live on a sheep farm. Within the next few years they will have a farm of their own with a year-round CSA. I’m so excited for them, they deserve so much success. 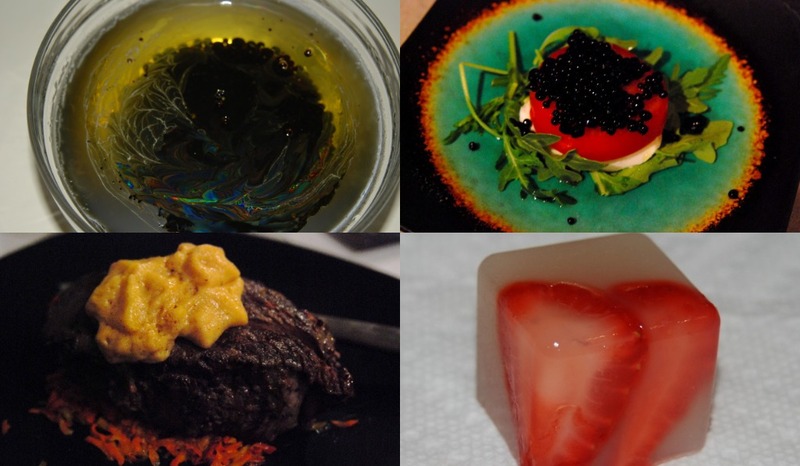 ~Dinner in the Year 3000~balsamic pearls in olive oil, balsamic pearls on a salad of tomato, fresh mozz & arugula, beef cooked in a sous vide resting on caramelized carrots and topped with onion foam, strawberry daiquiri gel cube. We had another installment of Fancy Food Club and the theme was “Dinner in the Year 3000” with a bunch of Modernist cuisine that was very good, especially the crazy gelled cocktails. We are up next. We have most of the menu already decided and I’m going to go completely Martha on the decor for the night, I can’t wait! I’m currently in a Battle Royale with the tomatoes and weeds in my garden. The rains this summer have been frequent and intense which has caused the weeds to grow….well, like weeds. In 2 days I’ve spent 3 hours weeding and also pruning back my tomato plants. I’m still not done. Tomorrow I have to prune and tie up another row of tomatoes. Oh, and if you are a lover of arugula, please come and harvest some from me. It’s either that or I’m going to have to blanch and freeze it. 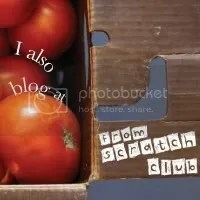 This week is another Food Swap. I can’t wait! I already designed my labels and made my items. Now I just need to put it all together. I hope people want to swap with me! If you follow my Facebook page then you already know what I’m bringing. 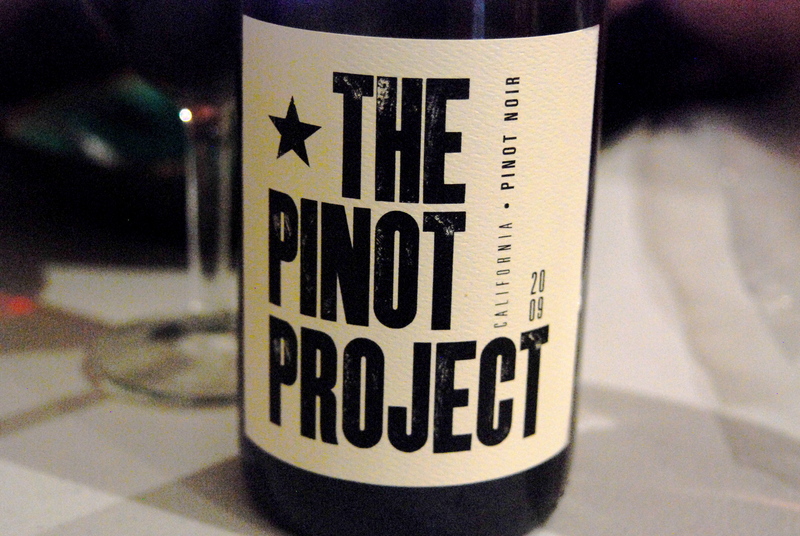 Ahhh wine. What would I do without you? 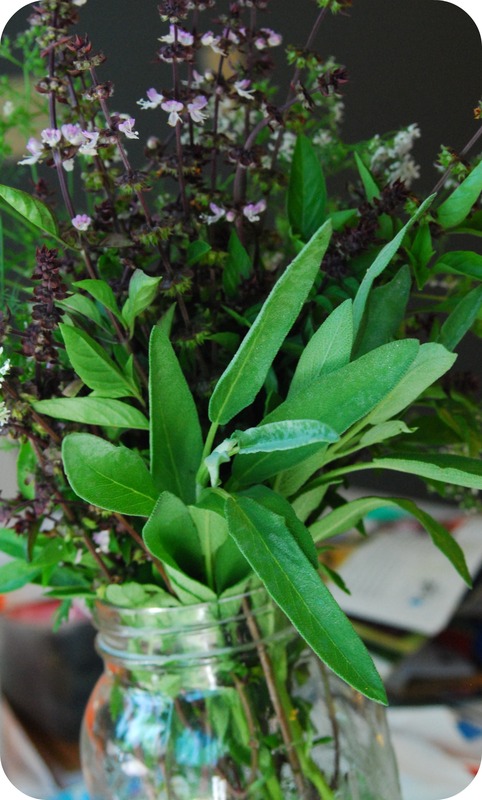 This entry was posted in cooking, creative projects, CSA, diy, farming, food, food swap, gardening, meals, nature, outdoors on July 19, 2011 by Erika T..